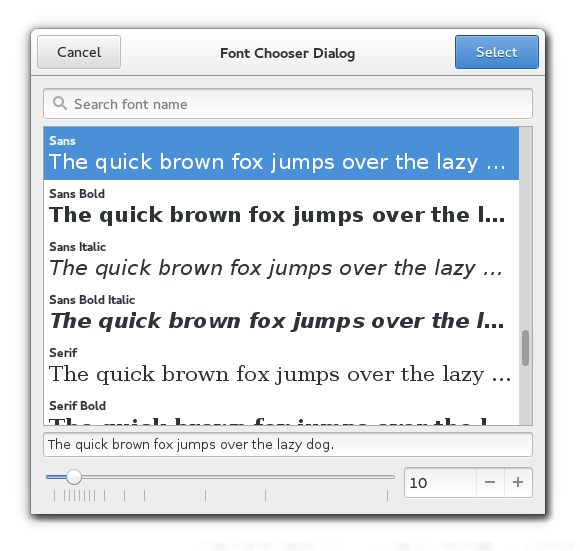 The Gtk.FontChooserDialog widget is a dialog for selecting a font. It implements the Gtk.FontChooser interface. The Gtk.FontChooserDialog implementation of the Gtk.Buildable interface exposes the buttons with the names “select_button” and “cancel_button”.